In the Deuce Tracksuit you can warm up in style or lounge with friends. The complete comfort in this sleek new warm up from Deuce. 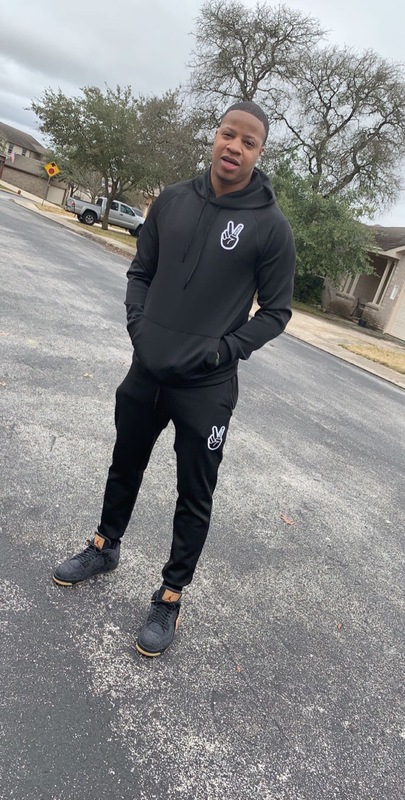 The Deuce Tracksuit includes our Athletic Hoodie & Athletic Joggers. The joggers feature a full zipper and front pockets, pants with an elastic waist and drawcord for an adjustable fit, and bottom leg zippers for easy on and off. Made with lightweight knit fabric for comfort.